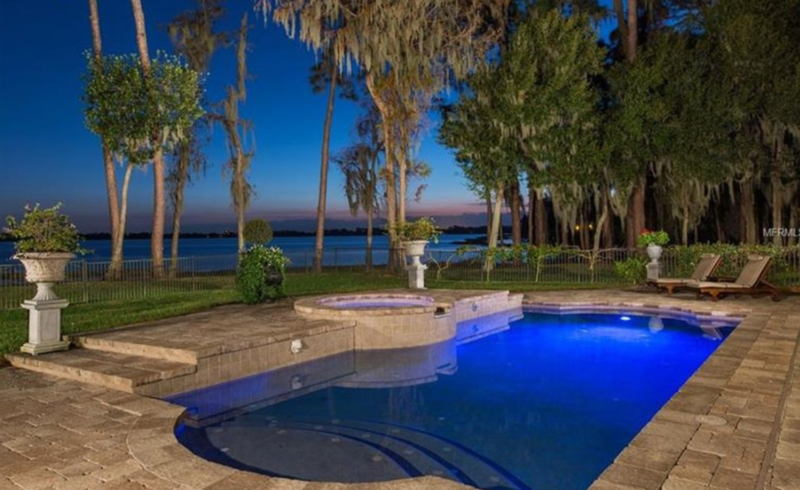 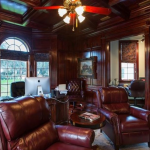 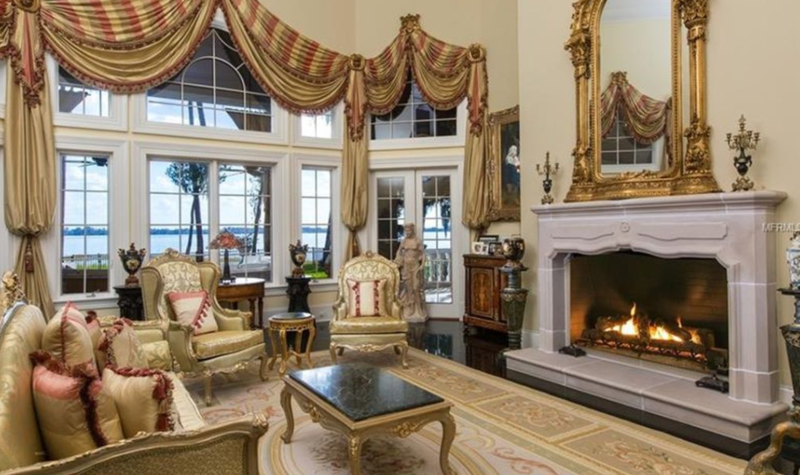 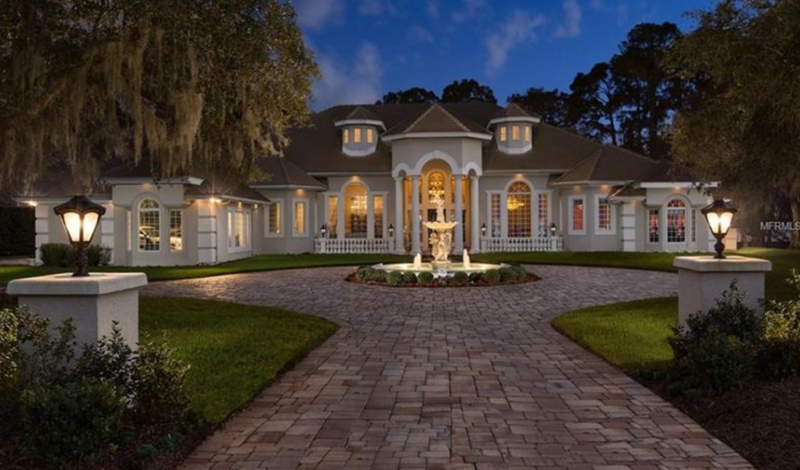 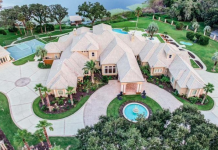 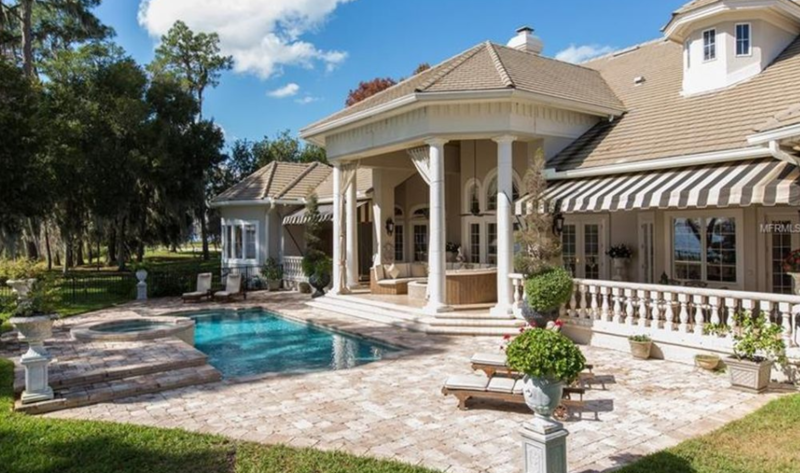 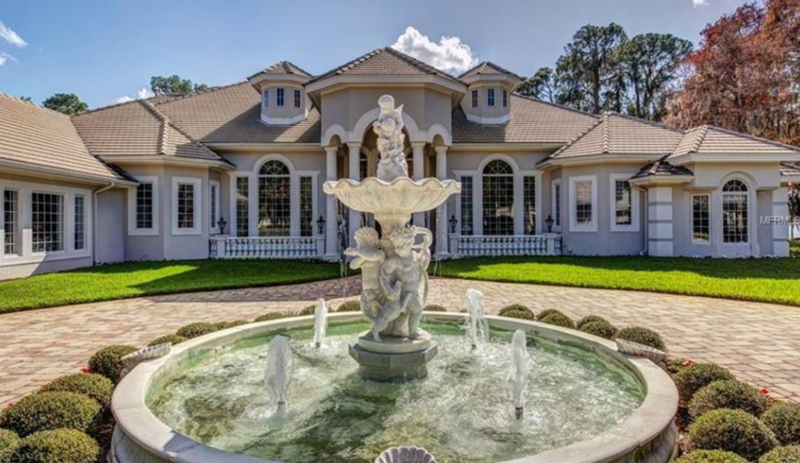 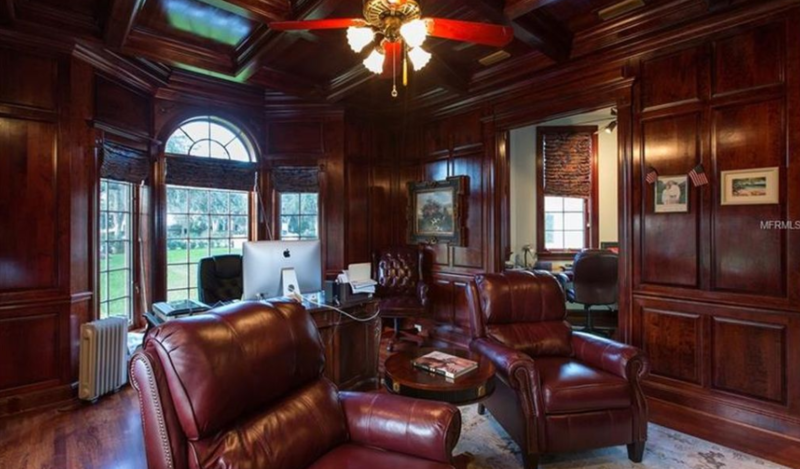 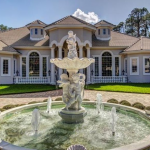 This lakefront mansion is located at 9220 Point Cypress Drive in Orlando, FL and is situated on 1.1 acres of land. 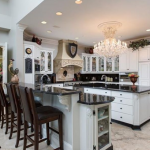 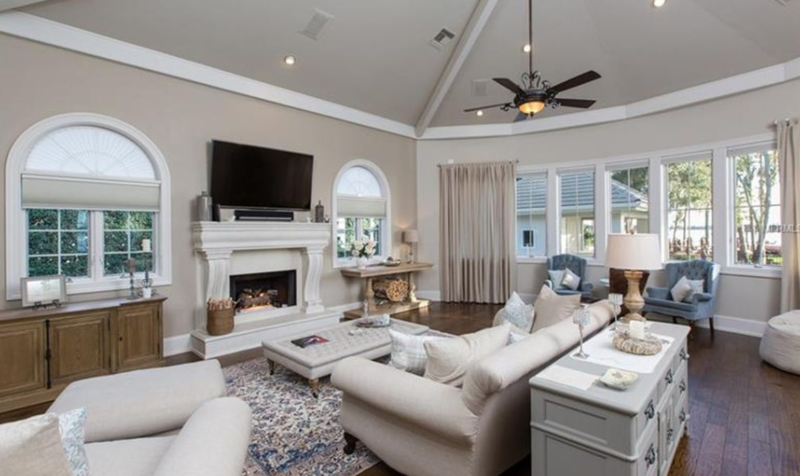 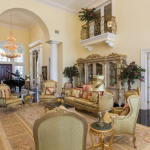 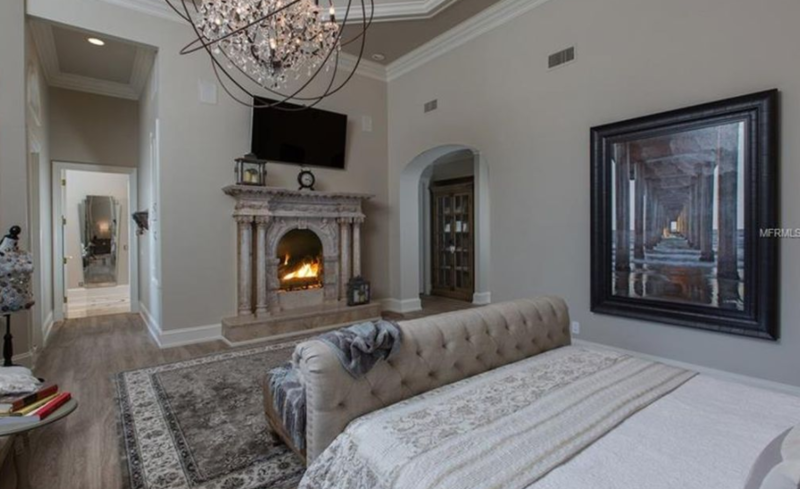 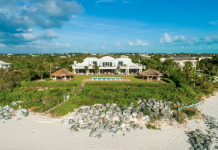 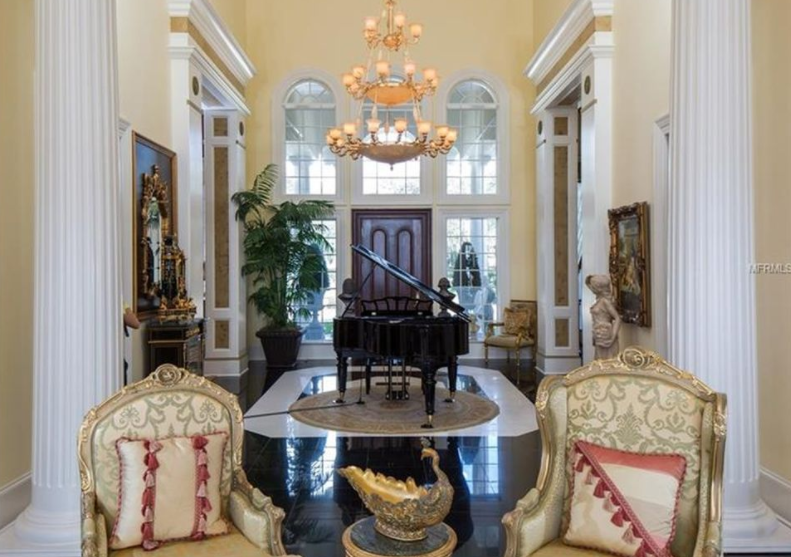 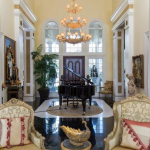 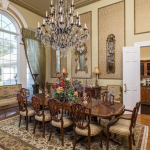 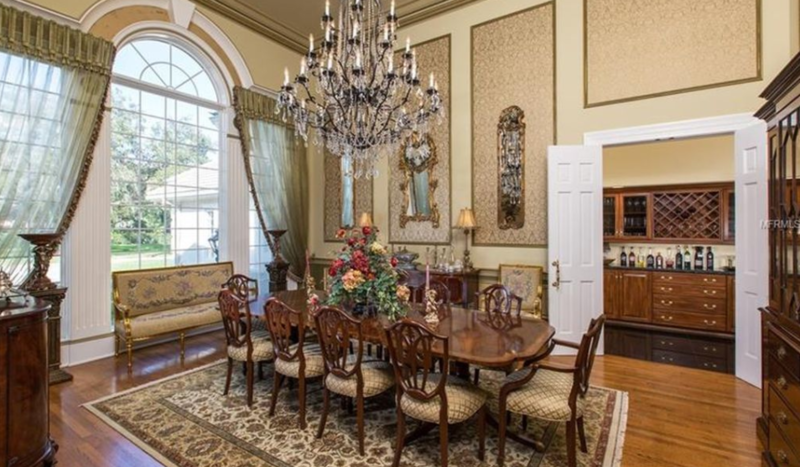 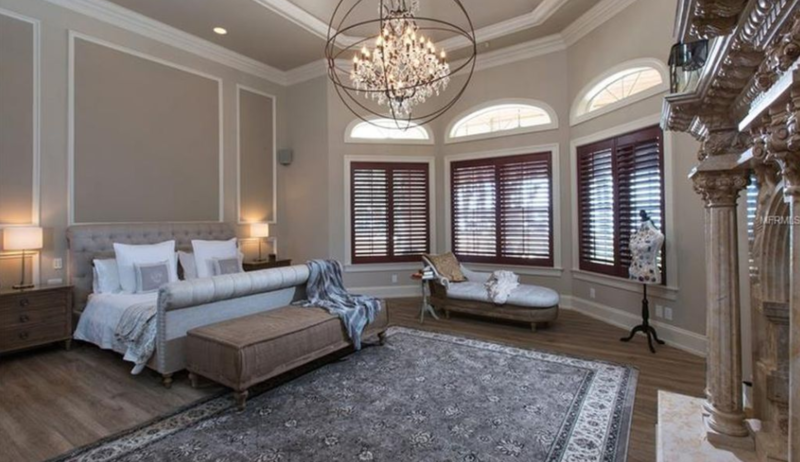 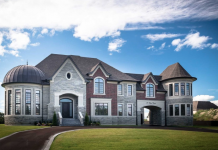 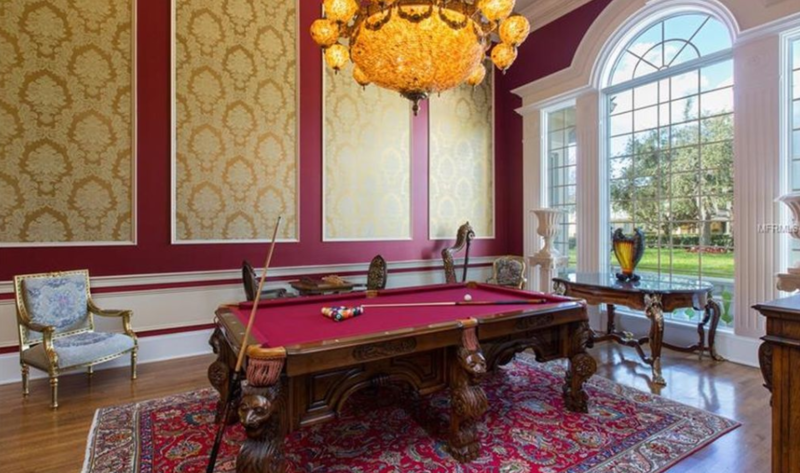 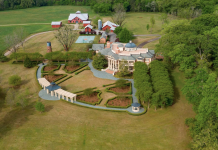 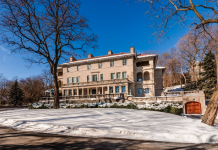 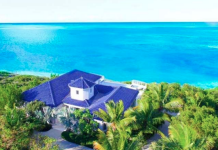 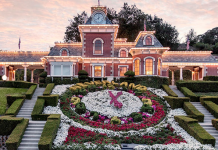 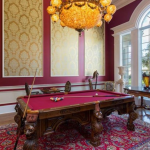 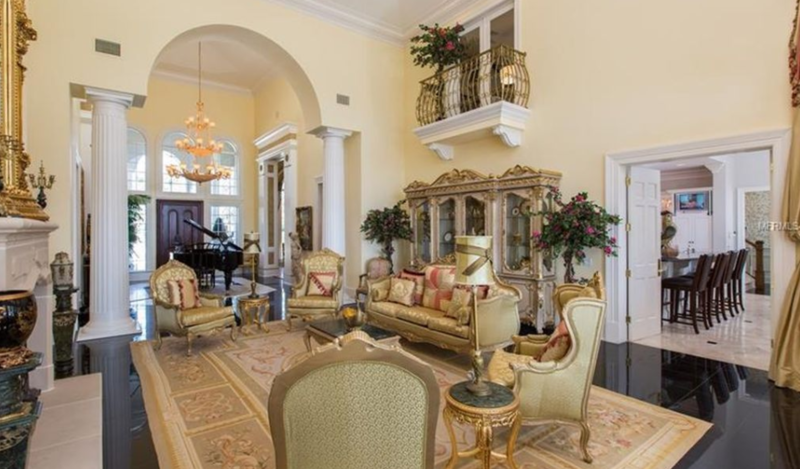 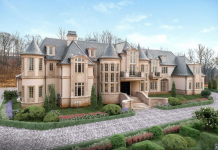 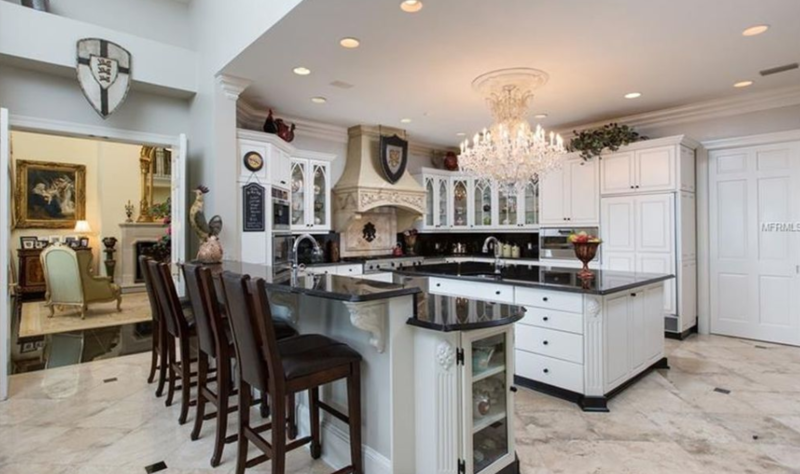 It was built in 1992 and features approximately 8,247 square feet of living space with 6 bedrooms, 7 full and 2 half bathrooms, 2-story foyer, 2-story great room, formal dining room, gourmet kitchen, breakfast room, family room, paneled home office, billiards room, garage and more. 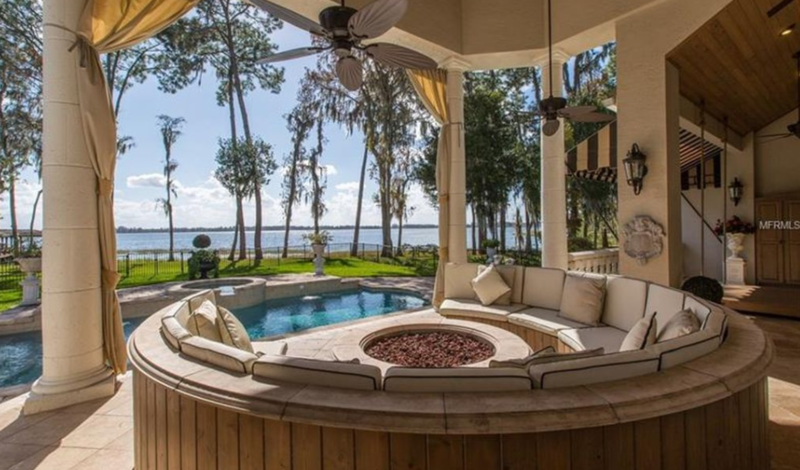 Outdoor features include a fountain, loggia with fire pit, patio, swimming pool with spa and a boat dock. 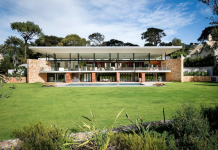 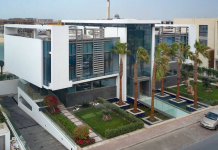 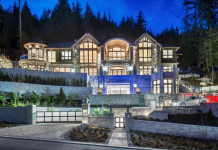 It is listed at $3,495,000.